Take it easy tonight with this simple dinner recipe. 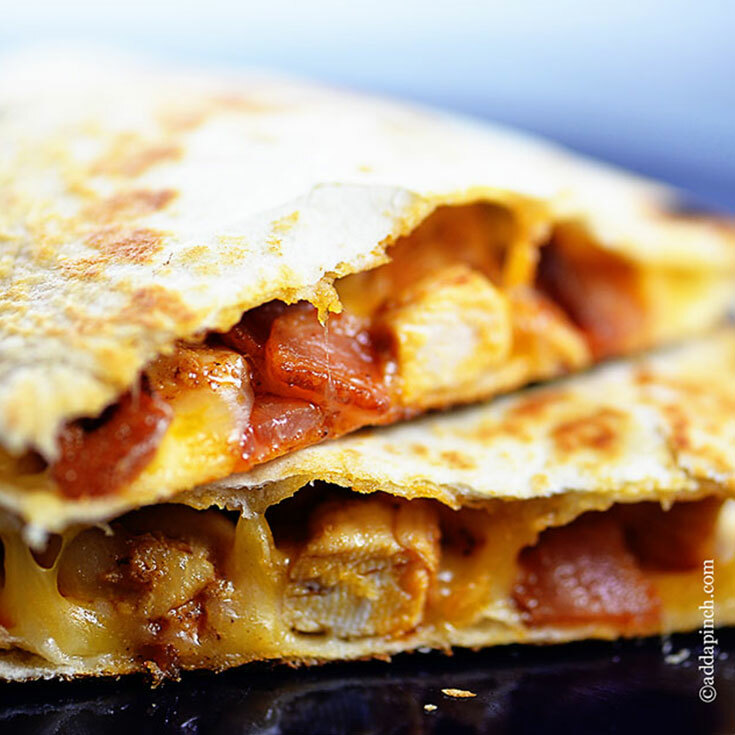 This classic quesadilla with Kunzler bacon is sure to please the whole dinner table tonight. Heat the oven to 425°F. Pre-cook and chop up your Kunzler Bacon. Cook the chicken in a nonstick skillet over medium-high heat until well browned and cooked through, stirring often. Toss the chicken with the fajita seasoning and cook until the mixture is hot and bubbling. Place the tortillas onto 2 baking sheets. Spoon about 1/3 cup chicken mixture onto half of each tortilla. Brush the edges of the tortillas with water. Fold the tortillas over the filling and press the edges to seal. Bake for 5 minutes or until the filling is hot. Cut the quesadillas into wedges and serve with the salsa.